To follow on from my last post about the pain in my arm - it caused me to end up in A&E for the night! I had got to the point where I would have happily chopped my arm off it was that bad. I had slept all day thankfully and woke at 9pm in total agony. Hubby wanted to take me to hospital but I said I can't do that as this is neither an accident nor an emergency. An hour later after trying Ice and Ibulieve I asked him to phone the hospital to see if there was anything they could recommend. Next thing they are asking 101 questions and even though I assured them I was not having a heart attack they said they were sending an ambulance. The paramedic arrived in a car blue lights flashing within minutes of putting down the phone and started to do tests on me. He did an ECG, checked my pulse then got the Blood Pressure cuff out - I hate having it done it really hurts me but I thought I would bite my tongue and try and tough it out - Nope couldn't do it. I asked him to stop and he said ok I will just do the one - it inflates gets so far stops, inflates again - can you stop it please - no it inflates again - PLEASE can you stop it - starts to inflate again - it was at this point I ripped it off myself before I was reduced to a sobbing sniveling wreck. He said I needed to let the pressure out first, I said I can't stand the pain and he looked at me like I was mad but I have bruises to rove my point. I have only had to rip a cuff off once before in hospital when the nurse was the other side of the room taking notes while I was on the auto BP machine. I asked her could she stop it and she said no so I did it myself. She too looked at me like I was some sort of wimp or nutcase!! Well I ended up in A&E anyway as I was clammy and heart was racing (due to the pain of the BP cuff) and the pain in my arm was immense. They wanted to rule out a heart attack which they did and I waited 4 hours to get told I need to see a rheumatologist and was given some strong painkillers. It played on my mind all night and the next day that surely I couldn't be the only one who felt searing pain when having BP done. 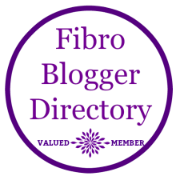 So I tweeted and posted on some Fibromyalgia sites. Thanks to the wonderful Becky @spritesbites on Twitter I found my answer. She told me what I had was Allodynia, so I googled Blood Pressure cuff and Allodynia and found this the heavenly Angels sang, it was my hallelujah moment. I have printed off a copy to carry with me so the next time someone tries to take my BP I can refuse with confidence. By the way that was Tuesday night and it is now Friday and I still have the bruises from the cuff!! More people need to know about this so they stop making those of us who really can not bear the pain of it feel silly and embarrassed as other people don't complain. Im glad I saw this post. I really thought I was just being wimpy about it but it feels like a knife is cutting into my arm when my blood pressure is taken.